What do you think being an independently owned company brings to the industry? The spirit of independence runs throughout the industry and from my experience, independence resonates with the culture of what is essentially an entrepreneurial sector. Independents have a shorter chain of command and the decision making process is consequently quicker. It’s also very important in any sector to retain alternative supply routes, and independence provides this very effectively. How would you describe the main challenges facing bingo operators? I think all retailers are now looking to deploy a more flexible and strategic approach in order to provide an experience which is tailored to meet the demands of their customers at any given point of the day or week. With customer profiles changing throughout the retailing week every operator and club manager will be looking to have products, content and an offering which has the flexibility to meet those specific needs. It’s not a case of ‘one size fits all’ and the challenge is providing operators with the right tool kit of technology and content to satisfy those market conditions. Technology allows you to do exactly that and it’s essential that platforms are truly open. Whilst developing our own compelling content we are also seeking out opportunities to work alongside third parties in order to secure the very best content that’s out there. NRM’s philosophy is that technology should be inclusive and enable operators to draw on winning content not to restrict them due to artificial and unnecessary barriers. What does NRM stand for as a business and how do you see its role in the industry? As an organisation that’s grown up with bingo, having previously managed the National Game successfully for close to two decades, I like to think that NRM shares some of its characteristics. In terms of commitment to our customers, we have what I would describe NRMas a ‘whatever it takes’ philosophy. Like bingo, we continuously innovate, we work hard to ensure that we deliver value for money and when necessary, we’re not afraid of challenging conventional thinking. You recently committed to invest 30% of revenue into R&D over at least the next three years - how will this impact services specific to Bingo? The broadly based leisure sector is incredibly competitive and it’s incumbent on NRM, with its long standing history in the industry, to support Bingo operators by delivering fresh new initiatives covering hardware, software and the development of compelling, fun to play content. Our R&D commitment means that we are channelling investment into commercial, high street and holiday park Bingo, as all three are key components of the Bingo landscape. For NRM, R&D isn’t a function, it’s a philosophy, a mindset and most importantly a commitment which sits at the very heart of the business. In November you completed the acquisition of Big Deal Games – what was the thinking behind this? BDG is active in the commercial bingo sector with an install base of 13 venues operating in excess of 1,200 handheld tablets, in the British Isles, predominately in Northern Ireland. In terms of meeting our strategic goals, the purchase will accelerate our ability to grow immediately our installed base of handheld tablets as well as providing an excellent fit with the Budde platform. 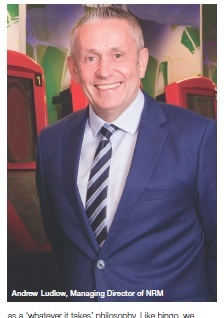 I am delighted that we have retained Steve Rice as Commercial Director and I am certain that we will collectively bring new levels of engagement, design, development and service for the operation of handheld tablets in commercial bingo. Do you see the sector as a case of glass half full or glass half empty? For me it’s always half full! The bingo sector has proved itself to be resilient and a number of operators are showing a better than sector average performance through investment in product and service delivery, technology and content innovation. There doesn’t appear to be a ‘silver bullet’, but engaging customers with appropriate investment in these areas is showing there is some light at the end of the tunnel. 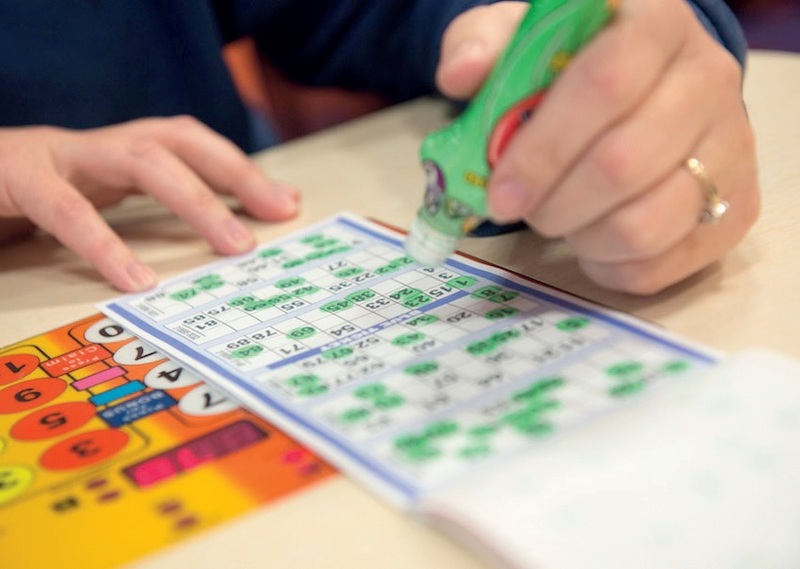 Importantly there are several areas of bingo growth that are worthy of mention, firstly a number of operators have invested successfully in high street bingo with others more recently joining this opportunistic area of growth. 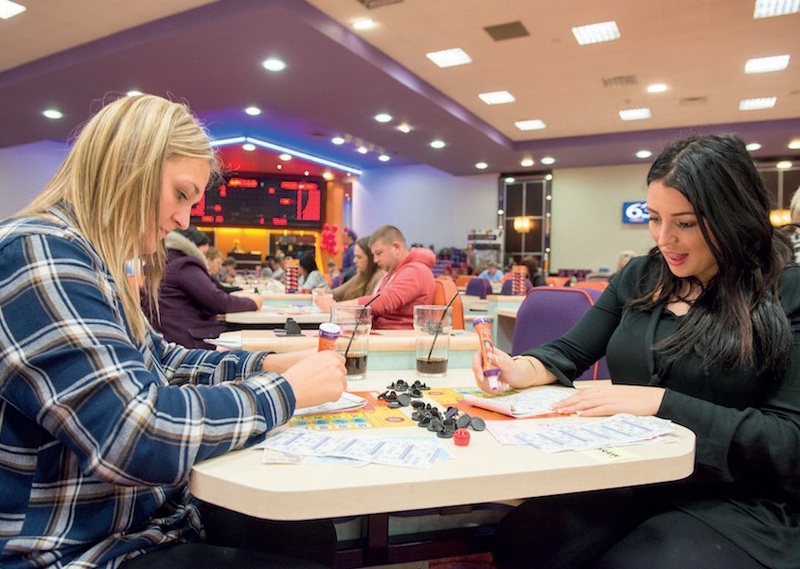 Secondly, NRM’s sister company, Connected Entertainment has very successfully pioneered the delivery of wide area linked bingo across the holiday park sector; interestingly the number of venues in these two areas continues to grow year-on-year.